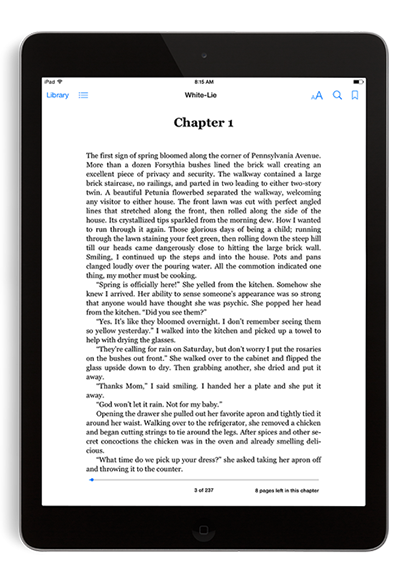 White Lie is a book that needed to be transformed from a Word document to an ePub format for a book club that uses several different tablet devices. Taking the book from it's original format in Word and flowing into InDesign was the first step in making this book into an electronic format. After styling and design was done in InDesign it was exported out as an ePub file and cleaned up using best practices. Once the ePub file was in it's final format it was also converted to .mobi format for Kindle readers. ©Copyright 2019 Jake Palmer, All rights reserved.